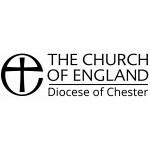 Applications should by preference be made to the Archdeacon of Chester using the diocesan application form, by 24 May. Details of the post can be found on the diocesan website here including our diocesan application form. St Helen’s Witton is a prominent medieval church in the heart of the town. St John’s Lostock Gralam is a neighbouring parish with historic links to St Helen’s. The two parishes were previously served by a full-time priest at St Helen’s and a part-time priest at St John’s. This arrangement could have continued, but seizing the challenge of reaching younger generations with the gospel, the two PCCs have come together, with the support of the diocese, to reconfigure the ministry in this part of the town. We are looking to recruit a full-time priest to oversee the ministry across the two parishes, plus a new full-time lay minister working among younger generations. The resources are in place to sustain both posts. The incoming priest will work with the two PCCs to refine the exact role description for the lay minister and lead in that recruitment process. Very active authorised lay ministry in both parishes. St Helen’s Witton is Modern Catholic St John’s Lostock is Central in tradition. The incoming priest will live in the spacious and well-appointed vicarage at Witton.